Scientists have discovered supermassive black holes at the center of two nearby galaxies that had long evaded detection thanks to both the angle of the objects relative to the Earth and the large clouds of stellar gas that shroud them. Described by NASA as “monster black holes,” they’re considered to be the engines of two “active galactic nuclei,” a class of extremely bright celestial objects that includes quasars and blazars (extremely compact quasars). "Just as we can't see the sun on a cloudy day, we can't directly see how bright these active galactic nuclei really are because of all of the gas and dust surrounding the central engine," Peter Boorman said in a statement from NASA. A graduate student at the University of Southampton in the UK, Boorman is investigating the black hole in the IC 3639 galaxy, located 170 million light years from Earth, equating to a staggering 6 trillion miles or 9.5 trillion kilometers. While the two black holes had previously gone undetected, ultimately it was their voracious appetite that gave them away; the material they feed on emits high-energy radiation in the form of X-rays, undetectable to many types of telescope but not for NASA's NuSTAR (Nuclear Spectroscopic Telescope Array) observatory that orbits the Earth. "It is exciting to use the power of NuSTAR to get important, unique information on these beasts, even in our cosmic backyard where they can be studied in detail," said Daniel Stern, NuSTAR project scientist at NASA's Jet Propulsion Laboratory in California. 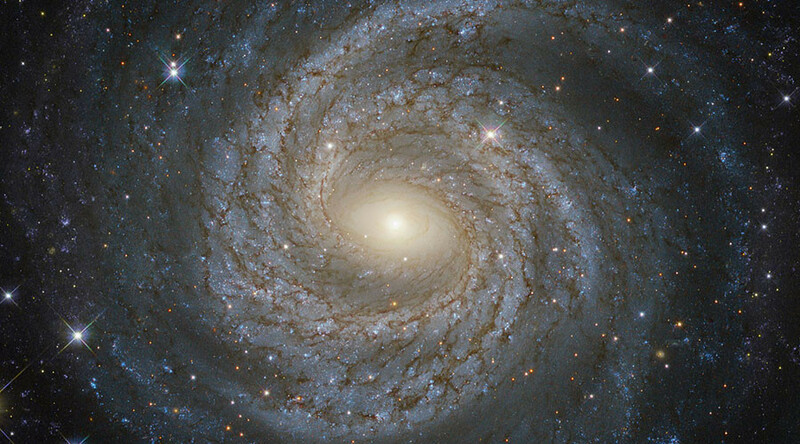 "These black holes are relatively close to the Milky Way, but they have remained hidden from us until now," said Ady Annuar, a graduate student at Durham University in the UK whose study centered on the NGC 1448 galaxy. Located just 38 million light years from Earth, it was only discovered in 2009. "They're like monsters hiding under your bed," added Annuar. Annuar presented the results of his study at the American Astronomical Society meeting in Grapevine, Texas this past week. While they do not pose any danger to us there may be “other supermassive black holes we are still missing, even in our nearby universe,” Annuar said.